Filipino-American tenor SAL MALAKI is one of Los Angeles Opera’s most seasoned artists, now in his 15th consecutive season, having appeared in over 90 operas with distinguished roles in La Traviata, Madama Butterfly among others. He is also a celebrated artist of the Cultural Center of the Philippines (CCP) appearing as Rodolfo in La Boheme, Tamino in The Magic Flute and Lt. Pinkerton in Madama Butterfly. He is also an esteemed member and soloist of the Los Angeles Master Chorale (LAMC). 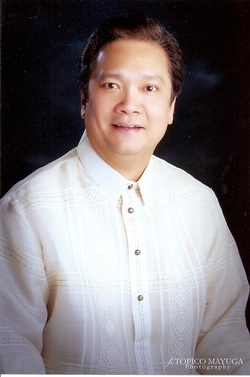 Sal is a popular voice recitalist who occasionally plays the flute but on one notable occasion, he forgot his flute and thus was born the legendary ruby whistle in the Philippine Madrigal Singers’ popular L’Important C’est La Rose.